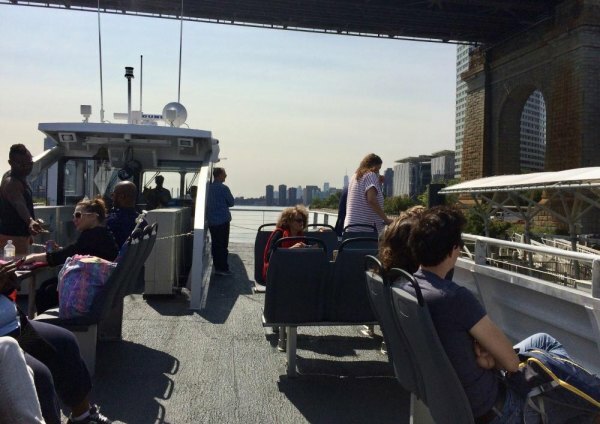 When the Roosevelt Island Ferry Landing welcomed the first of us in August, we got more than an alternative for crowded Tram cabins and subways. We also got easy access to new neighborhoods where we can play, explore and eat. In a spirit inspired by the ease of ferry travel, we give you our first Adventure On the NYC Ferry: Long Island City, now closer than ever. Most times, you have your choice of comfortable seating, inside or out. Snacks, wine, beer, free WiFi and a roof deck make traveling between neighborhoods relaxed and enjoyable. And it's efficient. 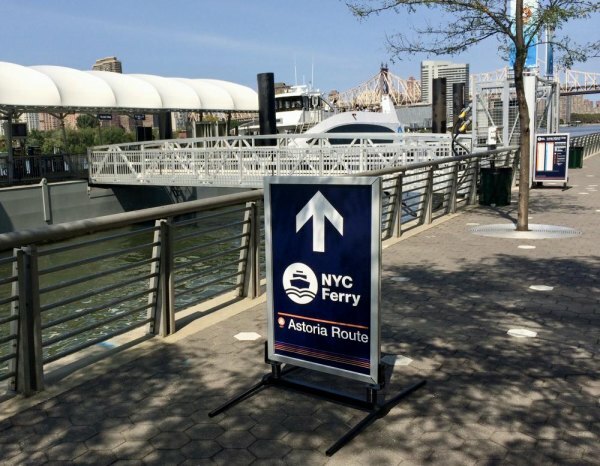 Schedules are posted and accurate, NYC Ferry personnel friendly and helpful. You might become disoriented, dreaming you're in a different city. But panoramic skyline views bring you back to delicious reality. 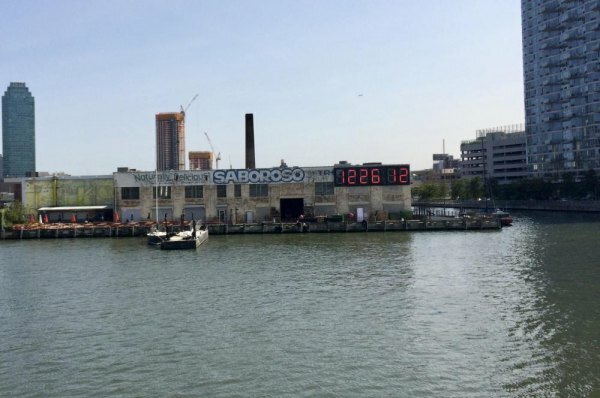 An unexpected treat along the Queens shore that puzzles a lot of passengers is the large countdown clock facing the river on a building just north of the newest LIC developments. A Donald Trump Countdown Clock, telling us exactly how much longer he will be in office. 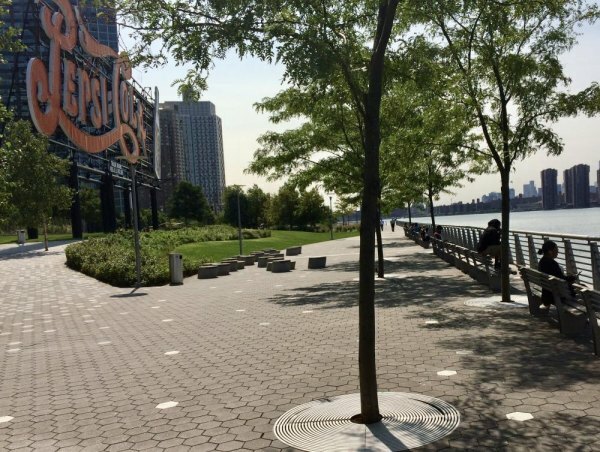 Yes, the Hunters Point South Landing is on the East River Route, which allows free transfers from the Astoria Route serving Roosevelt Island. Use it for destinations along the Brooklyn shore. You can also hop across to 34th Street in Manhattan or take it to the terminal at Wall Street. You might not realize it, but the the first residential buildings constructed in the area were partly inspired by the success of market rate housing at Manhattan Park on Roosevelt Island. Twenty years down the road, the city seems to have done everything right. 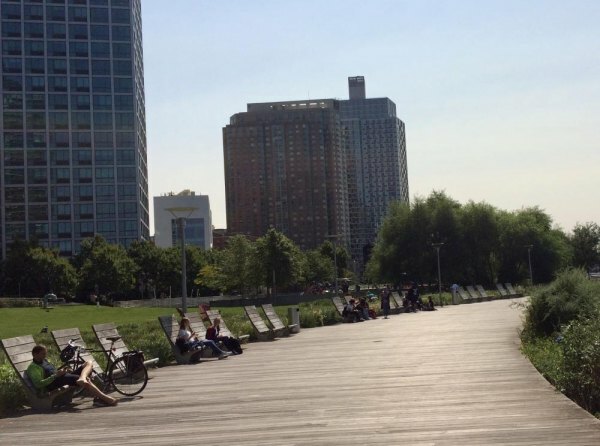 A boardwalk curls past carefully manicured lawns, numerous playgrounds, a dog park while seats of many shapes and sizes invite you to enjoy the pleasures of watching the river, a steady stream of people and Manhattan's ever changing skyline. You'll find plenty to do and see as you walk south. We watched a couple learning to dance under a shady tree. You can check out the historic gantries near 48th Street. At the Hunters Point South landing, you can grab a bite at the Coffeed stand and take advantage of the covered seating. But we decided to walk two blocks up to Vernon Boulevard to a couple of favorite restaurants we can now visit without hunting for a parking space. Nearby, you'll find several other interesting eateries, but we decided to highlight the two with which we're acquainted. 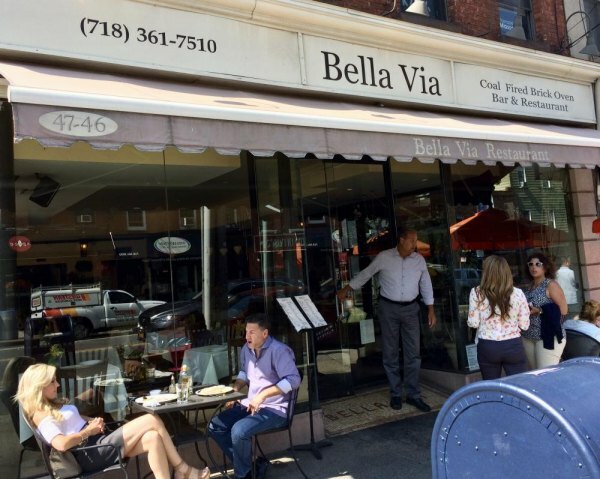 First up, at the corner of 48th and Vernon is Bella Via, long a popular, casual and very authentic Italian choice that's been popular since before Long Island City became trendy LIC. Bella Via's brick oven pizza passed my wife's demanding taste test the first time out, and the rest of the menu never disappoints. Sit inside or, while the weather's good, sidewalk dining is there for those of us who appreciate people watching with our pastas. Directly across Vernon is Spice, the popular chain occupying several locations in Manhattan. If you like spicy Thai food, this is the place for you. The menu is full of options and delightfully inexpensive. Spice's Lemongrass Tom Yum Soup is as close as you can get to paradise without an out of body experience. Leave the Manhattan-style crowding and noise at the door. 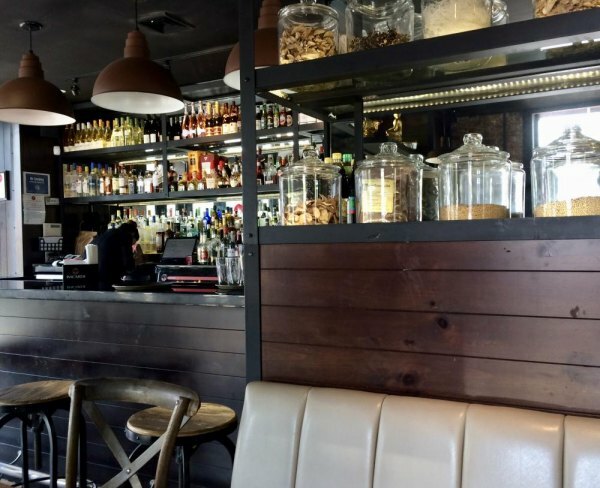 Inside, Spice is casual, comfortable and friendly. It's the nature of good things (and bad) that they must eventually come to an end. The walk back to the Long Island City landing is just as enjoyable on a full stomach. If you have no need to rush, watching the river go by on one of the many benches or even sitting on the grass is a joy. Farther removed from the noisy FDR Drive than Roosevelt Island is, you'll be pleasantly surprised by the quiet. Just upriver, Four Freedoms Park reaches its tapered end at the Room, and you get a different, backside view of the Renwick Smallpox Hospital. Note: you'll need to plunk down another $2.75 for the cheap trip home. NYC Ferry fares may be New York's greatest current bargain.